Following a communal clash between Hindus and Christians in a village called Mondaicad in Kanniyakumari District, South India, in1982, in which eleven people were killed in police firing, tension prevailed among the different religious communities in the region. The Rashtriya Swayam Sevak Sang, the Hindu fundamentalist group, known as RSS, having Kanniyakumari as its center in the South, was fanning communalism in the region. It was in this context, Peace Trust was founded in 1985 by Rev. Dr. Gnana Robinson, the Principal of the Tamilnadu Theological Seminary, Madurai, with the main objective of countering the sinister moves of the communal forces and working for justice, peace and harmony among the people of India. Like-minded people from all religious communities in the region - Hindus, Muslims and Christians- come together under Peace Trust and work together primarily for bringing reconciliation in areas of conflict. The Inter-faith group thus formed also works for the common welfare of all people in the community. Thus since 1985, several constructive programs were held both at the regional level and at the national level. One full year was thus spent in creating justice-awareness among the people of the district. Another year was spent on organizing programs against the menace of dowry in the region. One year special attention was given to the liberation of women. Several seminars on pertinent topics such as violence, caste discriminations, the adverse effects of tourism, poverty, the New Economic Policy of India, Globalization, Alcoholism and Drug Addiction, Harmony Among Religion, Secularism, Peace with Justice, Poverty & its causes, Land ownership & Injustice, Sri Lankan Tamils Issues, Kashmir Conflicts, etc., were held. This has been the theoretical basis on which we have been functioning, and by translating this theory into action, we have experienced for ourselves how meaningful it is for people to live and work together in harmony. UNITE TO SERVE has thus been our motto. Donec venenatis quis odio ac auctor. Vivamus commodo velit sed dignissim placerat. Vestibulum sit amet lobortis lorem. Praesent blandit nisl id bibendum fringilla. About Prof. Rev. Dr. Gnana Robinson. Prof. Rev. Dr. Gnana Robinson, B.Sc., B.D., M.Th., S.T.M., Dr. Theol. is a well known Pastor/Priest born and bought up in Gnanapuram, Kanyakumari District. He has had his education in Eranial High School, Scott Christian College, Nagercoil. He did his Bachelor of Divinity degree and Masters of Theology degree at the United Theological College, Bangalore between 1957-1963. He was ordained in the Church of South India and served as a pastor in the Kanyakumari Dioceses from 1960-61. He did further post graduate studies in the field of Old Testament at the Union Theological Seminary, New York leading towards his STM degree. He continued his post-graduate work at Ecumenical Institute in Israel and at Hamburg University, Germany, and earned his Doctorate from the University of Hamburg in 1975. He has served for more than forty years as Professor in Theology in several institutions, both in India and abroad. 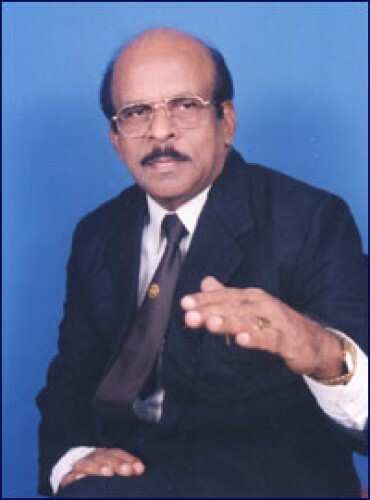 As a Theological teacher, he served at the Tamil nadu Theological College, Thirumaraiyur from 1963-69 and at the Tamilnadu Theological Seminary, Madurai from 1969-1987. He has been the Principal of the Tamilnadu Theological Seminary, Madurai for nine years. During 1987-1993, he was teaching at the Prediger Seminar in Soest, Westfalen, West Germany as Guest Professor. 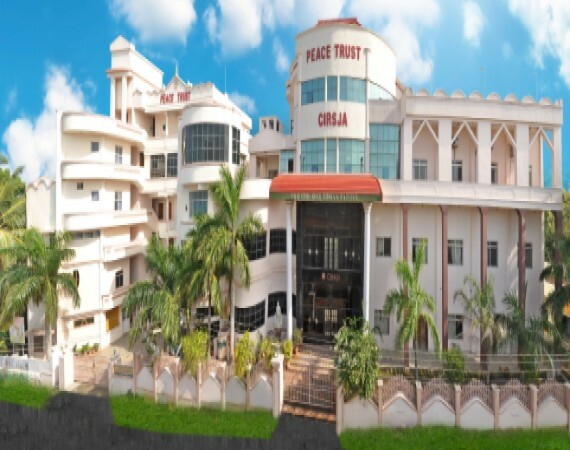 In June 1993 he took over as the Principal of United Theological College, Bangalore for seven years, all the three institutions training Pastors/Priests to serve the church. Twice he has been elected as the President of the only Theological University in India known as the Senate of Serampore College (University). He has been visiting professor at the University of Hamburg April - August 1982, and at the St. Andrews Theological College, Trinidad West Indies – October 1982 – March 1983, at Andover Newton Theological College, Boston, U.S.A. – April 1983, at Lincoln Theological College, U.K. – May 1983, and at Lutheran Theological Seminary in Philadelphia (L.T.S.P. ), U.S.A. – 2000-2001. He is committed to the cause of the poor and the marginalized and, as such he is heading several service organizations as president. He is the Founder President of Peace Trust Kanyakumari. He is also committed to Communal Harmony among the people of different faiths. For this cause he founded Peace Trust Kanyakumari in 1985, with like minded people from different religions, a Programme Committee has been constituted which promotes Communal Harmony in the region. Under Peace Trust, In order to help the international community, which is increasingly becoming multi-religious, he has also started the Center for Interfaith, Relations, Studies and Joint Action (CIRSJA). He is also convening statewide conventions on communal harmony in all the States of India. He is also the Promoter of Iniavar Illam (INIL) A home for the Elderly, which comes under Peace Trust. Dr. Gnana Robinson has authored several books and articles in Tamil, English and German languages. Solidarity of the Oppressed, T.T.S. Publications, Madurai, 1981. Good News to the Poor, T.T.S. Publications, Madurai, 1984. Let Justice Roll Down Like Waters, T.T.S. Publications, Madurai, 1984. Struggle Together for Justice, Liberation of Lankan Repatriates, Kodaikanal Episode, 1986. First World Fundamentalism Frustrates the Poor, T.T.S., Madurai, 1987. The Origin and Development of the Old Testament Sabbath, Peter Lang, Frankfurt am Main, Bern, New York, Paris, 1988; Second Print, ISPCK, 1998. Struggle is Life, C.L.S., Madras, 1988. Jesus Christ, our Paschal Lamb, C.L.S., Madras, 1989. Siding with the Poor, C.L.S., 1989. A Journey Through Theological Education, C.L.S., 1989. ”Let us be Like the Nations”, A Commentary on the 1 & 2 Books of Samuel, International Theological Commentary, ed. G.A.F. Knight, 1993. The Truth Shall Made You Free, A Build Publications, Bombay, 1995. Faithful Christian Living, C.L.S., Madras, 1998. Deeper Spirituality, C.L.S., Madras, 1998. My God and My People, CLS, Madras, 1999. A voice in the Wilderness, CLS, Madras, 2000. Critical Use of the Bible, CLS, Madras, 2000. Harmony Among Religions, KJPP, Kanyakumari, 2002. Biblical Jubilee, Globalizations, Debt Crisis, KJPP, 2002. Awake and Arise, KJPP, Kanyakumari, 2003. Tsunami and the Providence of God, Kanyakumari Justice and Peace Publications (K.J.P.P. ), Kanyakumari, India, 2005.